11 Feb 2019 --- Microalgae innovator Fermentalg has reported accelerated industrial and commercial growth across three of its major platforms for the 2018 period, particularly regarding its foray into premium omega 3. The other platforms include protein and pigments and its algal biofilter. 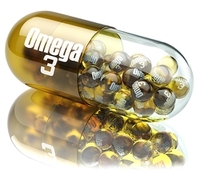 The success has placed the company in a prime position to “ramp up its business” in 2019 on the omega 3 platform, according to Fermentalg. Last year’s revenues reached €246,000 (US$278,200) up from €170,000 (US$192,260) in 2017. This includes €142,000 (US$160,560) from the first sales of products and €104,000 (US$117,590) in license and access fees. At the end of 2018, gross cash amounted to €12.5 million (US$14 million) and covered financing requirements identified beyond the 2019 financial year, a year which should record cash flow generated by DHA sales, according to the company. DHA Origins from Fermentalg is touted as the first DHA algal oil with a natural minimum concentration of 550mg/g. In September last year, a few months after the oil’s launch, the company entered into an initial contract with DSM Nutritional Products. According to the terms of this five-year agreement, DSM will buy DHA Origins 550 and market it worldwide. The partners are now finalizing Fermentalg’s quality certification process as DSM’s supplier, the final step before the first orders. “I’m proud of the of the milestones achieved this year by the Fermentalg teams on our three major technological platforms. For the omega 3 platform, the signing of the agreement with DSM, the ongoing finalization of their certification process, and the restructuring of our industrial supply chain are transformational for Fermentalg, which is gaining recognition in the high value-added Omega 3 market,” says company CEO, Philippe Lavielle. Fermentalg has also been working with its distributor network to record its first significant orders, in particular with one of the market leaders in the US dietary supplement market, the identity of which has not been shared. The first substantial revenues of a few million euros resulting from these agreements are likely to be recorded in 2019. To keep up with this business growth, Fermentalg is finalizing the technological transfer with its partner ADL BioPharma, a European industrial fermentation specialist. ADL BioPharma has reserved a part of its fermentation capacity (total installed capacity of 2,400m3) for Fermentalg products, ultimately allowing the Group to supply several hundred tons of DHA Origins 550. “All signs indicate that we are on the right track to realize the market potential in line with our expectations. This is our first major achievement and we are now equipped to ramp up business in 2019 on this first [omega 3] platform,” Lavielle adds. Fermentalg achieved notable progress in the scale-up of its second technological platform for algal proteins and phycocyanin, a natural blue colorant with strong demand in the food industry. According to the company, the R&D teams successfully completed several 1,000- and 2,000-liter fermentation and extraction trials. “On our pigment and protein platform, after the successful pilot tests performed in 2018, we are gaining confidence about moving to the next phase of pre-industrial demonstration,” says Lavielle. After the current engineering studies are finalized, a decision will be taken in 2019 on the funding and realization of a semi-industrial process demonstration, designed to supply the first commercially certified batches to the market by 2020, the company notes. The last platform that the company is seeing good progress in is its agreement with waste management company SUEZ to develop an algal biofilter, formerly known as the “carbon sink.” Since 2015, the two parties have been working together to exploit the “exceptional capacity” of microalgae to capture CO2 and other pollutants from the atmosphere in urban areas and smoke emissions from industrial complexes. Following an initial test phase that confirmed this technology’s potential, Fermentalg and the SUEZ Group have signed an exclusive eight-year partnership agreement covering the technological development and industrialization phases of the algal biofilter. A three-year marketing agreement was also signed to develop the commercial offering for urban and industrial air purification.